Achim Kaufmann was born into a musical family in Aachen, Germany, in 1962, and became fascinated by jazz and the possibilities of improvisation as a teenager. He started writing tunes around that time. Later he studied music at the Conservatory in Cologne and also took classes with creative masters such as Dave Holland, Steve Coleman, Muhal Richard Abrams, George Lewis, and Steve Lacy. Since 2002, he has been touring internationally with the trio Kaufmann/Gratkowski/de Joode, an improvising unit which has released four CDs so far, to much critical acclaim. In the late ‘90s and ‘00s, Achim led two groups with reed player Michael Moore: trio kamosc and gueuledeloup quartet. 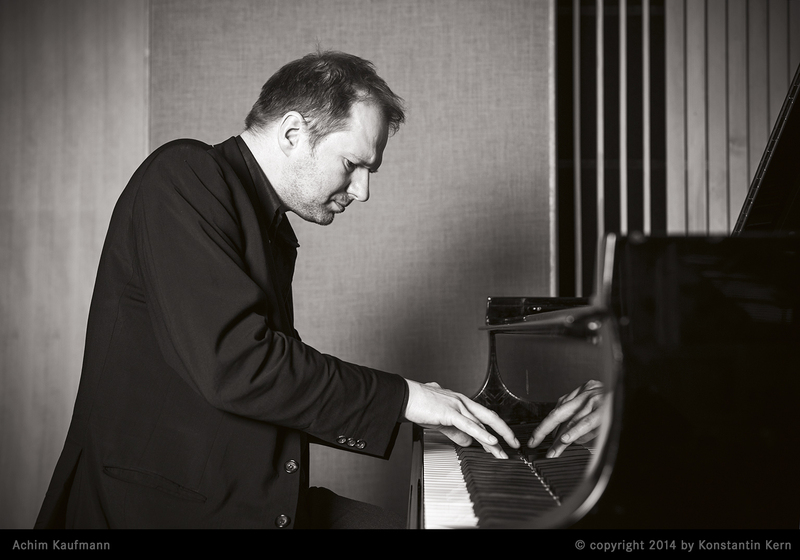 In 2007, he recorded kyrill, a set of compositions for piano trio featuring Valdi Kolli and Jim Black. Their follow-up cd, entitled verivyr, was released in 2011. He has also collaborated with his wife, poet/painter Gabriele Guenther, on the audiodrama Borderline – From the Shadows of a Journey, and has written music for various chamber ensembles. In his solo work, mixed techniques are used to create a fluctuating world of sounds and gestures. Resonance and reverberation, space and density play an important role in both his solo and ensemble work.